Yoga is well-known for aiding in de-stressing and relaxation. It's often recommended as the perfect way to wind down after a long, hard day so you can sleep better at night. In fact, yoga is so well-known for it's restorative qualities that it's often overlooked for its ability to rejuvenate and revitalize. You may not have realized that morning yoga can be just as beneficial as a cup of coffee when it comes to beginning your day. Read on to find out just why you should consider practicing yoga in the morning. Reduce pain and inflammation. Bodies need to be stretched after a night's rest. Overnight, as your muscles rest, a layer of connective tissue and fluid builds up between them. 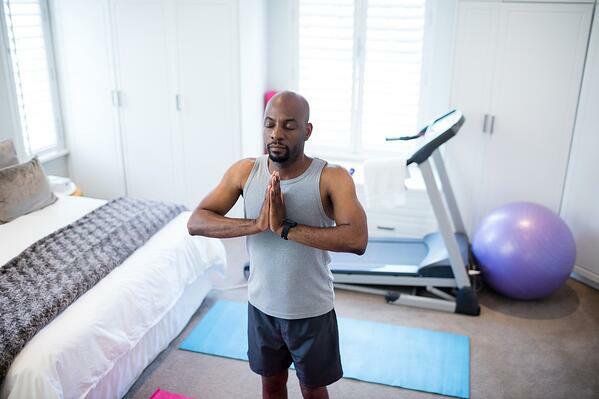 The urge to stretch when you first wake up helps to release that build up. If you don't continue to move and stretch, that layer can continue to thicken, which causes stiffness, "tight" muscles, and common aches and pains. Natural energy boost. No chemicals or caffeine necessary! Moving your body means moving your cells. Cells in motion require oxygen. When your cells refresh their oxygen stores, the process naturally reinvigorates your entire body. Specific postures and practices to build energy include sun salutations, backbends, and twists. Lower stress hormone levels. Our bodies are designed to produce more cortisol (the "stress hormone") in the morning, to help us get up and going. If you jump right into the morning rush to get out the door and off to work or school, you'll increase cortisol production as a response to that stress. 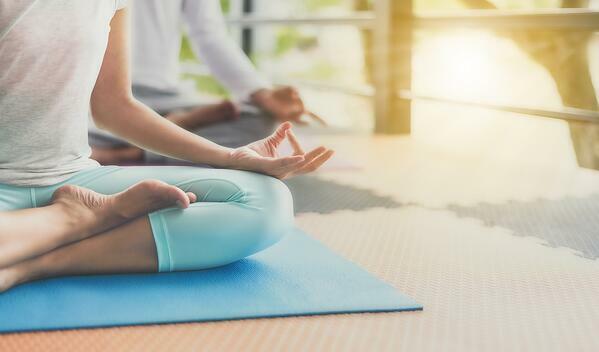 Waking and choosing to de-stress via yoga each morning essentially allows the body to get into the habit of switching off the sympathetic ‘fight or flight’ stress response, lowering cortisol levels. This allows your nervous system to begin the day in a more relaxed state, and reduces the risk of health problems like anxiety, depression, heart disease, and weight gain that are associated with elevated levels of cortisol. Supercharge your immune system. The movement and stretching of yoga, as we mentioned, is beneficial to all cells. Disease-fighting white blood cells, in particular, benefit from improved circulation in the mornings. Additionally, when circulation is increased and the internal organs have been gently massaged by yoga postures, the digestive system is far more efficient at releasing toxins and properly metabolizing the vitamins and minerals from the foods you eat during the day. Don't take our word for it! Try one of the Rise & Shine Yoga classes being offered at your club today. Stay tuned for an upcoming announcement that will give you a few more incentives for dusting off your yoga mat and finding your zen. And check out even more reasons to get your omm on in the morning here and here.